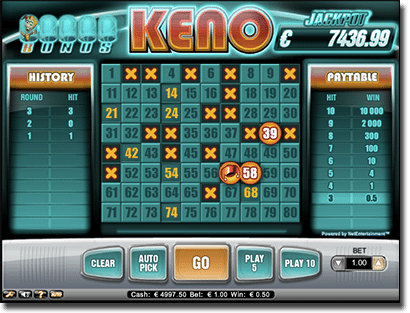 Playing keno online means you can speed up or slow down gameplay, fill out your spots with a click of a button, and ultimately have a better chance at winning. There is a huge amount of online software developers available online, but only the best offer their catalogues to secure sites. Some of these offer their own keno variants, which you can find at our recommended online casinos to play for real money. We detail the best, and where you can find them on this page. Software provider, Ezugi, is a live dealer specialist and, uniquely, they offer a live dealer keno variant – what you would expect to find at a brick and mortar casino. The live keno variant features a real dealer, streamed in real time to your desktop device, who uses a traditional drawing keno machine – no RNG software here. Players have a certain amount of time to make their bets – selecting up to eight spots – and 20 numbers are then drawn from 80, live. Players can also chat to the dealer and other players from all around the world. 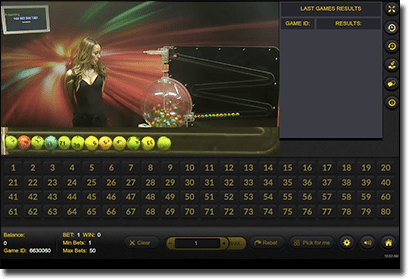 Normally a virtual sports provider, 1×2 Gaming also offer an array of unique keno games. The developer has taken their keno variants in a different direction than just offering standard gameplay. You can get a traditional title by the provider, but the majority feature unique themes, the ability to speed up the pace of the results significantly, and one even features a progressive jackpot. NetEnt are renowned for their extensive casino catalogue, but unfortunately the provider only offers one keno title. 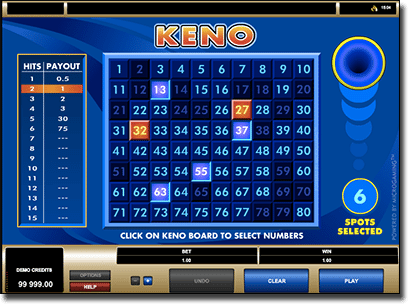 This keno game features somewhat standard gameplay – players can pick 10 numbers from 80 and 20 are drawn – but there’s a progressive jackpot attached. This can be won by filling up the bonus metre in the top right hand. It isn’t a huge jackpot, but it can get up to five figures. Microgaming offer an incredible catalogue of traditional casino games, but offer just one keno title. This title is probably the most traditional keno game you can get on the web, and as close to pub keno online – though you don’t need a sharp pencil. Players can pick up to 15 spots out of 80, with 20 drawn on Microgaming’s keno title. As you can see, there’s quite a few reputable providers available on the web, and as such quite a few different keno games available. 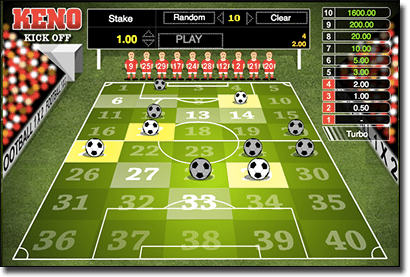 Gameplay is quite similar across all games available, in players pick their spots and the numbers are drawn. However, there can been some variances. What makes online keno software better than traditional keno? Playing keno online is the way to go if you want a better chance at winning, you want to play at your own pace, and you want control over the ambiance while playing. House edge: Keno at land-based venues, such as pubs, clubs and RSLs, has an incredibly high house edge – between 20-35%. This is possibly the worst advantage you could find on a casino game, but online it is significantly lower – around 10% or less. This is still quite high, but it is the best if you want to play keno. Payouts are visible: Playing keno at land-based venues means you have to first locate and then constantly refer to the brochure for payouts, or otherwise scan your ticket at the end of the games to see if you’ve won. Online the payouts are constantly visible next to the game screen and show you how much you can win with your bet size, the amount of numbers you’ve picked, and more. Pace of the game: You can’t control the game pace at land-based venues – games run every two to three minutes – but online you can go as slow or as fast as you would like. Additionally, many variants offer turbo play where the ‘machine’ shoots the balls out faster for a quicker outcome. Ambiance: Playing online means you can create your own ambiance wherever you are playing from. You can also create your own land-based casino experience opting for live keno – the chat box makes it incredibly social too. The best real money sites for keno are powered by the aforementioned keno providers, and each accept AUD currency.